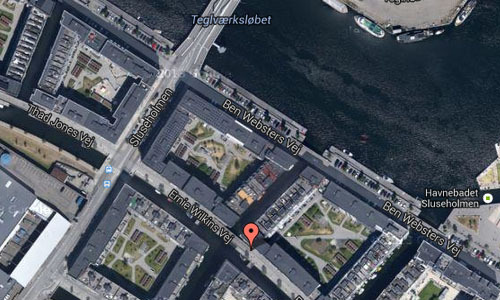 Ernie Wilkins Vej is a street in Copenhagen, Denmark. The street is located in Sluseholmen Canal District. 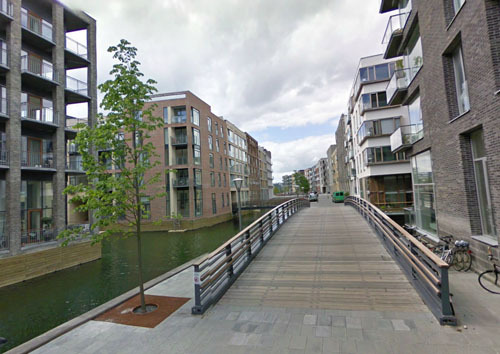 Sluseholmen Canal District (Danish: Sluseholmen Kanalby) is a residential development, located on Sluseholmen peninsula in the South Harbour area of Copenhagen, Denmark. The development comprises 1,350 apartments built on eight artificial islands, separated by dug-out canals. On each island is a closed block, 4-7 stories tall, surrounding a sheltered courtyard with public access. The houses frequently stand directly on the canals, while bridges, wharfs and “ghats” create direct contact to the water. The development was designed by the Danish architecture firm Arkitema in collaboration with the Dutch architect Sjoerd Soeters but to ensure a varied cityscape, the facades of the individual townhouses were designed by 20 different architecture practices. The Sluseholmen peninsula used to house heavy industry, including a Ford cars factory. As the industry left the area, a plan was conceived to develop Sluseholmen into a canal district. 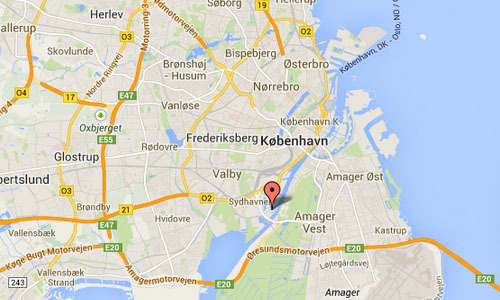 The plan was a result of a cooperation between Sjoerd Soeters, Arkitema, Port of Copenhagen and the City of Copenhagen. Construction started in 2004, the first residents moved in in 2007 and by 2008 development of the new canal district had been completed. The general concept for the area was developed by Sjoerd Soeters and Arkitema with inspiration from the artificial island residential development in Amsterdam. Arkitema also developed the shell structures. 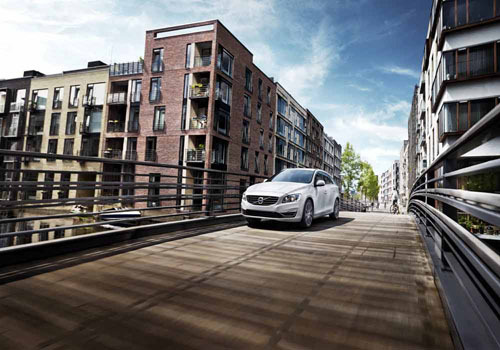 To ensure a varied cityscape, inspired by Copenhagen vernacular architecture from around 1900, the facades of the individual townhouses were designed by 20 different Danish architecture firms. Arkitema drew up a set of dogma, governing the materials used, colours and proportions of the facade designs. It was also decided that at least five different firms had to be involved in the design of each island. The result is lively and imaginative block housing, with individual houses highly diverse in appearance. Sluseholmen used to be home to heavy industry, including a Ford cars factory. As the industry left the area, a plan was conceived to develop Sluseholmen into a canal district. The plan was a result of a cooperation between Sjoerd Soeters, Arkitema, Port of Copenhagen and the City of Copenhagen. Construction started in 2004, the first residents moved in in 2007 and by 2008 development of the new canal district had been completed. Sluseholmen is the first application of the Sydhavn plan. The island is characterized by a panoramic view of the surrounding water and a more intimate inner side. The inner are is formed by a curved main canal and several short lateral canals. The large city blocks are laid out with one side toward the great expanse of water and the other sides toward these new canals. The outlines of the canals were kept to a minimum: a narrow quay runs along the sunny side of each canal, and the buildings stand directly on the water on the opposite side. The lateral canals are not straight; they have a bend, so that one cannot look down their entire length at once. 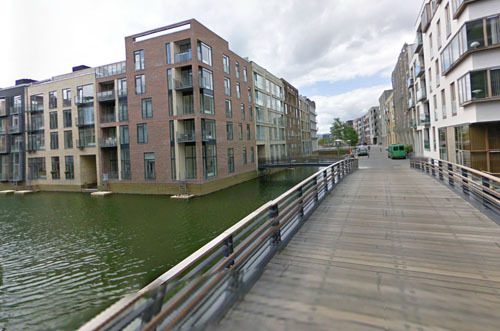 By giving the main canal a curve, the nearby industrial and office buildings are also hidden from view. The long side of the curved main canal is oriented to the south. Gardens have been laid in the courtyards of the blocks, with parking garages underneath. 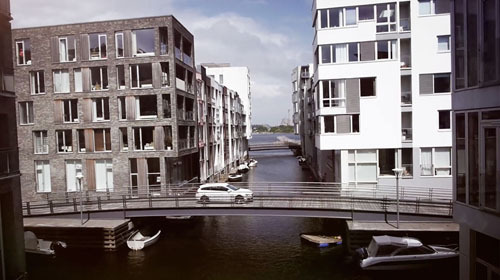 Each city block is made up of different dwelling types: apartment buildings are located along the water and individual canal houses made up of stacked maisonettes line the lateral canals. As on the Java Island, the different sections were worked out by different architects, Danish architects in this case. Architectural guidelines were set for materials, colours, spatial effects and building height, to ensure that each city block remains unified and fits in with the greater ensemble. The Danish architects were initially sceptical about this approach and objected that they were reduced – as they saw it – to ‘façade artists’. Now that the project is completed, however, they concede that this approach has produced good results. More information on en.wikipedia.org, www.archdaily.com, www.soetersvaneldonk.nl and planergo.com.